Rebecca Wade studied at the University of Oxford (B.A. Hons. in physics, 1985; D. Phil. in Molecular Biophysics, 1988). She then did postdoctoral research at the universities of Houston and Illinois, primarily in biomolecular simulation, before taking up a position as a group leader in the Structural and Computational Biology Programme at the European Molecular Biology Laboratory (EMBL) in Heidelberg in 1992. Rebecca Wade set up the Molecular and Cellular Modeling Group at the EML (later EML Research and then HITS) in 2001. She was Adjunct Professor at the International University in Germany in Bruchsal from 2001-2003. 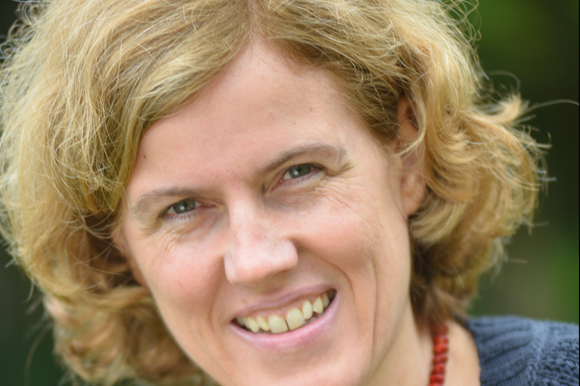 She was appointed full Professor at Heidelberg University in 2012 and is a member of the Faculty of Biosciences. In the Molecular and Cellular Modeling group, our main focus is on proteins and finding out how they interact with their molecular binding partners and function. We develop and apply computational approaches to address questions such as: How do proteins recognize and distinguish their binding partners? How tightly and quickly do they bind? By what mechanisms do they bind? Can binding partners and binding modes be predicted? Our studies are mostly based on the three-dimensional structures of macromolecules. We aim to make concerted use of bioinformatics and physical simulation approaches in order to develop methods for understanding how biomolecules work and aiding the rational design of therapeutic agents. Techniques cover a wide spectrum from interactive, web-based visualization tools to complex molecular and Brownian dynamics simulations. Applications range from in-depth simulation studies of particular proteins to large-scale computational analysis of protein families. Member: BIOMS (Heidelberg Center for Modeling and Simulation in the Biosciences) Steering Committee; “Cellular Networks” Excellence Cluster (CellNetworks), Univ. Heidelberg.